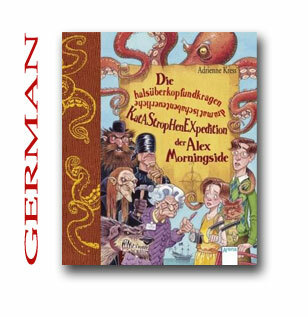 The starred review in Publishers Weekly praised Alex & the Ironic Gentleman as “a wonderful blend of whimsy and moral” and at the heart of this story is Alex Morningside, a lovable tomboy with a knack for trouble and a quest for adventure. 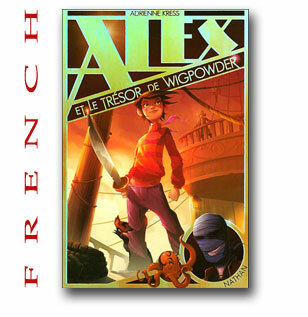 Often mistaken for a boy because of her haircut and name, Alex Morningside is an inquisitive ten-and-a-half-year-old who attends the prestigious Wigpowder-Steele Academy. Unfortunately, though she loves to learn, Alex just can’t bring herself to enjoy her classes. Her teachers are all old and smelly and don’t seem to know about anything that has happened in the world in the last thirty years, and her peers…well they are quite simply ridiculous. Luckily for Alex, the new school year brings an exciting new teacher. Mr. Underwood makes lessons fun and teaches her how to fence. But Mr. Underwood has a mysterious family secret—the swashbuckling and buried treasure kind—and not everyone is glad he has come to Wigpowder-Steele. 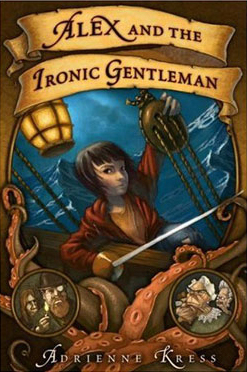 When the infamous pirates of ship called the Ironic Gentleman kidnap Mr. Underwood, Alex sets off on a journey to rescue him, along the way encountering a cast of strange and magical characters, including the dashing and sometimes heroic Captain Magnanimous, Coriander the Conjurer, the Extremely Ginormous Octopus, and the wicked Daughters of the Founding Fathers’ Preservation Society. Page-turning, hilarious, and ultimately tender, Alex and the Ironic Gentleman ends with a surprise twist that will have readers eagerly awaiting the next book in this delightful new children’s series. 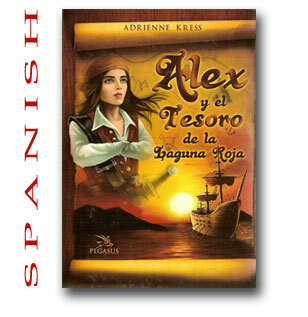 Alex garnered an honourable mention as an Ontario Library Association’s Best Bet of 2007.